Do you find prayer to be hard sometimes? You don’t know what to say, don’t know if you’re saying it correctly, and some days wonder if God even hears you. The only place to go for the answers was in the Bible. I stopped trying to figure out what I thought God wanted me to do and went to the ONLY place for the answers, THE BIBLE! I opened His word and let His own words teach me. Prayer is something we, as Christians, are supposed to do. His word taught me prayer isn’t meant to be hard. It’s meant to be simple. Somewhere along the way, we decided prayer should be this BIG THING, a MAJOR EVENT, each and every day. We’ve built it up so much it’s become impossible to make time for it and to do it justice. At least I did. So, I gave up trying. Are you struggling to find time for prayer during your busy day full of work, kids, housework, chores, errands to run, and a life to live? If so, then this course is for YOU! Prayer is special – you are talking to the Creator of all heaven and earth. It’s a beautiful gift that you have been given. I invite you to join me and learn how to open and use this gift. 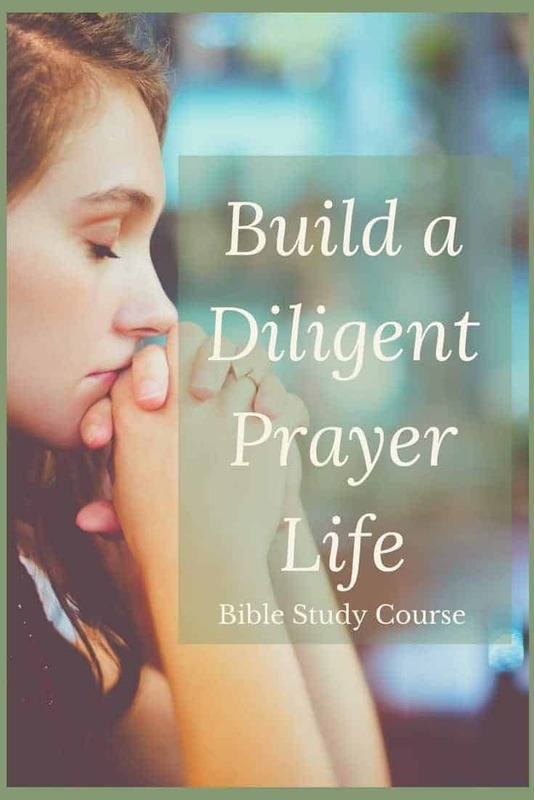 Learn how you CAN build a better prayer life. Discover what the Bible says about when and where to pray. Create a deep connection with God and learn how to talk to Him instead of saying the same prayers over and over. 8 Downloadable lessons and tools to help you along the way. Why Pray to God – this lesson sets our foundation for why we pray, to begin with. Who is God and why should we pray to Him? Remove the Doubt! – this lesson helps us establish our faith and trust so we can remove the doubt that will keep our prayers from being heard. How Jesus Taught Prayer – Now, we are ready to dive in! This lesson teaches prayer the way Jesus did from the very beginning. When & Where Can I Pray? – In this lesson, we remove the roadblocks that may keep us from praying – things not being sure where the right place is or when the right time is to pray. When I Cannot Think of Anything New to Say – Ever feel like you just say the same prayers every time? This lesson will help give you the confidence to say prayers that are not repetitious until they need to be. Praying Scripture – In this lesson we will cover praying EXACTLY the way they did in the Bible. How to take the prayers God gave us by His inspiration and making them our own. Bringing it all Together – In the final lesson we will bring all of these new skills together and help you to create a plan for daily prayer that is achievable. Are you ready to join me in this study?